Choose from 174 hotels and guest houses in Kent. Shown below a just a selection of the hotels available. To search within an area please use the menu on the right. Elegant Victorian style hotel in the centre of the Leas. 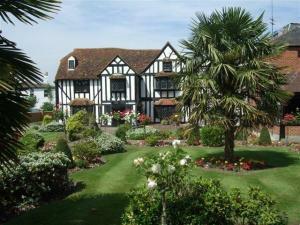 Views of English Channel, minutes from town centre, Le Shuttle and ferry terminal to France. Spectacular views of the English Channel, 80 comfortable bedrooms, Garden Restaurant, bar, conference and banqueting facilities 10 to 75,WIFI available. Perfect venue for business people. 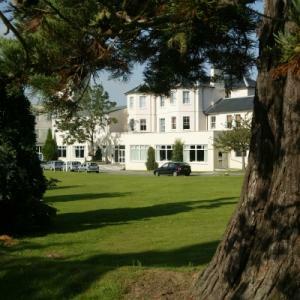 Peaceful location yet only 10 minutes away from the town's amenities and the Channel Tunnel Terminal to the continent. Set in 4 acres of beautifully landscaped gardens, this Victorian country house spa hotel and restaurant offers award-winning cuisine and a brand-new spa, opened in 2008. Privately owned and run, Hempstead House Hotel & Restaurant is a traditional English country house hotel, surrounded by the glorious Kent countryside. The luxurious en suite rooms are all individually designed, with modern facilities, including high-speed wired internet access. The hotel boasts spacious, elegant reception rooms and 3 bars. The delightful classical restaurant, Lakes, offers award-winning food and professional but friendly service. The new AquaManda Spa and fitness centre has superb relaxation and leisure facilities, including a sauna, a steam room and a 15-metre swimming pool with hydrotherapy pool. The fitness studio offers a full range of classes and a fully equipped, state-of-the-art gym. The therapy suite offers 5 spacious treatment rooms and a relaxation lounge. The extensive gardens and terraces make an ideal setting for al fresco aperitifs and dining on summer evenings. In the winter months, guests can enjoy the warmth and comfort of the roaring log fires. Located on the main A2 road, near the cathedral towns of Canterbury and Rochester and historic Leeds Castle, Hempstead House is also very close to the ports of Dover and Folkestone. The Eurostar terminal is also about 30 minutes' drive away and London can be reached within an hour by rail. Equipped to welcome you all year round, this hotel close to the M25 Dartford Tunnel offers smart, non-smoking and well-equipped en suite bedrooms. The Campanile's services extend from bedrooms and conference rooms to a restaurant and laundry service. At the bar you can relax with a newspaper and perhaps a glass of wine, and even enjoy the terrace and view over the lake (weather permitting). Stay at the Ramada Hotel and Resort Maidstone and experience everything you expect from an international hotel company. Enjoy a 3-star superior property, Sebastian Coe Health Club, Rick's Piano Bar & Grill, free guest parking and 26 acres of private grounds only minutes from junction 8 of the M20 and right next to beautiful Leeds Castle. This impressive resort hotel boasts some of the finest conference facilities in the area and is an ideal location for business and leisure guests. This is a great location for a short break, only minutes from the beautiful Leeds Castle and close to Canterbury Cathedral. The channel ports and Eurotunnel are less than an hour away. For retail therapy and entertainment, Bluewater shopping centre and McArthur Glen Designer Outlet are only a short drive away, as are the beautiful countryside and villages of the Garden of England. This hotel is now completely non-smoking. This unique, characterful hotel set in its own beautiful grounds is located a short distance from Dover, between the ancient Cinque Port towns of Sandwich and Deal. All rooms offer full en suite bath and shower facilities, king-size beds and digital flat-screen entertainment systems. 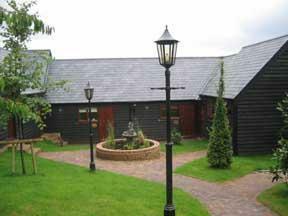 The accommodation is arranged in a courtyard setting with private secure parking. 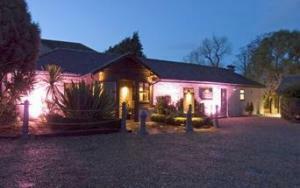 The hotel's restaurant, Samphire at Ham, is featured in the Good Good Guide, and offers Kentish hospitality at its best. Located in the fashionable West End, The Relish is Folkestones first contemporary, and only 5-star guest house accommodation. 10 rooms are furnished to the highest standard with sumptuous beds by Hypnos, and stunning en suite facilities including high pressure, invigorating showers. Luxury touches make all the difference; crisp white linen sheets, huge bath towels and Aveda products are standard. On offer are unlimited fresh coffee and tea with homemade cake, and a free glass of wine or beer upon arrival. In every room there is a DVD player, direct dial telephone and free broadband internet access. This beautiful 17th century, Jacobean property in the heart of Kent is easily accessed by car and train, and is a 5-minute drive from Ashford domestic and International (Eurostar) stations. Restored into a hotel over the last 2 years, Boys Hall has a wealth of original features including a large fireplace, oak beams and stunning gardens. It is set in 3 acres of grounds and boasts many original features dating back hundreds of years. All the rooms at the hotel are individually designed in keeping with the age and history of the building. Free Wi-Fi is available throughout the hotel. The Express Holiday Inn Canterbury is great value for business travellers, tourists and those on their way to Dover Port and the Eurotunnel. 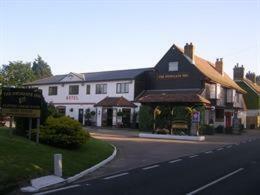 3 miles from Canterbury city centre, the hotel is located on the A2 southbound. The M20 (M25/M26) and M2 (A2) motorways are close by for easy access to London and to southern England and mainland Europe. The hotel was designed for business and leisure travellers who want to 'Stay Smart' at great prices. The modern hotel offers a full dinner service from 18:00 to 22:00 daily. It is an ideal base from which to visit historic Canterbury and its cathedral, the Channel Tunnel, the Kent countryside, Lakeside and Bluewater shopping malls. The Camden Arms Hotel was built in 2007, a new building on the back of an 18th-century coaching Inn, opposite the village green in Pembury. All rooms at the Camden Arms Hotel have quality hand-made furniture, en suite power showers, hairdryers, digital flat-screen TVs, trouser press and tea/coffee. Every room is extremly comfortable and well appointed, espically the Camdern Arms Hotel's four-poster-bed rooms. The Camden Arms offers free wireless internet access and free parking. Nestling in the heart of Kent's countryside, the hotel successfully fuses modern day comfort and leisure facilities with the rustic charm of its oak-timbered Chartwell Restaurant. All bedrooms are air conditioned for individual heating and cooling comfort. Enjoy the contemporary bar area with air conditioning and 42" plasma screen TV. Conveniently located just 30 miles away from London, this luxurious contemporary-style hotel and country club is surrounded by beautiful rolling countryside in Maidstone, at the very heart of South-East England. Boasting a range of leisure and business facilities, the Marriott Tudor Park Hotel & Country Club offers something to suit all needs. These are complimented by an on-site restaurant and bar, serving a varied choice of seasonal cuisine in stylish surroundings. For relaxation you can head to the Milgate Spa and indulge with a beauty treatment or massage, or enjoy a round of golf on the Tudor Park's private 18-hole golf course (par 70). There is also an on-site gym and swimming pool (complimentary). 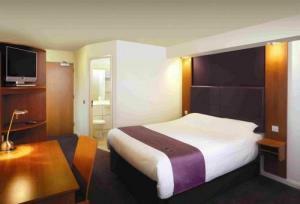 With free parking, this Premier Inn is very near the M20 (junction 9) and has air-conditioned rooms with double glazing. Eureka Park is 300 metres away, with cinema, health club and food outlets. The Premier Inn Ashford (Eureka Park) is next to a newly built Beefeater restaurant, where fresh char-grilled food is served. The hotel has 2 internet terminals at reception. Some rooms can take 2 adults and up to 2 children (under 16 years). The 2 children also get a free full breakfast when accompanied by an adult eating a full breakfast. Breakfast includes the expected cooked items, including vegetarian sausages. There is also a wide continental selection. Everything you would expect from a 3-star hotel, with the understated charm of a Regency setting and 81 en suite rooms on Dover Waterfront. The hotel is steeped in history, nestled under the famous White Cliffs in the shadow of Dover Castle with uninterrupted views across the English Channel. Enjoy a light bite or gourmet dinner; coffee or traditional English tea; or our extensive wine selection from The Brasserie's beautiful sea-facing terrace. On-site hairdresser and beautician with complimentary health club and parking make this ideal for a weekend break or a longer stay. Within walking distance of the port, town, cruise terminals and close to all major transport links and local attractions. Tours of Undiscovered Dover can be arranged. 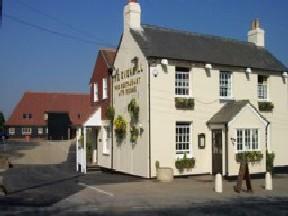 You'll find the Dog & Bear, a traditional coaching inn built in 1602, facing Lenham's picturesque village square. A stylish village pub with the never changing atmosphere of warmth & hospitality. How often during the routine pressure of everyday life do we dream the dreams of escaping to that cosy hostelry with the never changing atmosphere of warmth and hospitality. We hope to provide the perfect village location here at the Dog & Bear, a stylish village pub that combines the best of the old with the best of the new. 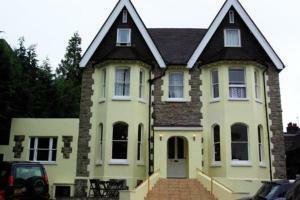 24 en-suite bedrooms, recently refurbished to the English tourist board 4 diamond standard. Queen Anne stayed here in 1704 and her royal coat of arms is proudly displayed above the front door. We offer good home cooking presented with care and imagination, daily and seasonal specialities using fresh local produce. Indulge in the surroundings, relax by the log fire in the winter or enjoy our courtyard in the summer, soaking up the unique atmosphere and hospitality of this ancient building and its picturesque surroundings. Our fully-equipped private function suite is available for celebrations or business conferences. Should you require any further information or assistance then please do not hesitate to contact the team here. In the centre of Maidstone, within easy walking distance of shops, restaurants, bars, clubs, cinema and the train/bus stations, this is a friendly and comfortable family-run hotel. Featuring an elegant bar and a night porter service, King Street Hotel was originally built in 1802 and still has many original features. The King Street Hotel is 1 mile (1.6 km) from junction 7 of the M20 and is very close to Leeds Castle, one of Kent's major attractions. Gatwick Airport is a 40-minute drive and the Channel Tunnel is 30 minutes away. All rooms are en suite and include TV, radio alarm, direct-dial telephone, modem point, trouser press, hairdryer and hospitality tray. Most rooms have Wi-Fi internet access, which is also available in lounge and bar areas. Free parking is available between 18:00 and 08:00 (and all weekend) and the hotel has a reduced rate with a nearby car park (available 16:00-10:00). A warm welcome awaits you at this friendly, family-run hotel near Sevenoaks station, where a 30-minute train journey can take you to London's West End. Naz and Tim are the managers of this friendly hotel, offering accommodation for tourists and business travellers at highly competitive rates. Their aim is to provide a friendly, personal service to make your stay a comfortable and enjoyable experience. Benefit from easy access to the city whilst enjoying a rural environment as a base. Visit the pleasant market town of Sevenoaks, and Knole House with its extensive deer park. Other places of historical interest include Chartwell, Hever Castle, Leeds Castle and Penshurst. If you like the countryside, Sevenoaks is situated in arguably the prettiest part of Kent and offers splendid drives and walks. All major credit cards are accepted and all bedrooms are en suite and non-smoking. A cosy atmosphere awaits you at this 300-year-old cottage guest house, with its wealth of oak beams and open fireplaces. Built on an old coach route, the weary traveller is made as welcome as ever. The cottage also has 2 resident cats. Warren Cottage is situated in a very quiet area, but just a short drive from the M20 and other major routes to Ashford International Station, the Channel Tunnel, a shopping outlet and Dover ports. Warren Cottage is convenient for visiting Dover Castle, Leeds Castle, Canterbury with its magnificent cathedral, Tenterden and Rye. Set in the heart of the Garden of England, and surrounded by orchards and hop gardens, this former coaching inn is a traditional pub with a contemporary twist. Mentioned in Chaucer's Canterbury Tales, the pub has a long tradition of warm and friendly hospitality. Today, you can enjoy the authentic atmosphere of a historic inn at the same time as relaxing in comfort and enjoying the excellent food, wines, beers and service. Midway between Faversham and Canterbury, there is a wealth of things to see and do in the area. Mount Ephraim Gardens, for example, are just a short walk away and Boughton Golf Club is nearby. In the historic market town and medieval Cinque Port of Sandwich, the New Inn offers en suite accommodation, free parking and a friendly, traditional bar with home-cooked food available all day. In the heart of Sandwich, the New Inn has a good location, within easy reach of all that this historic town has to offer. The central location means that all of the shops are within easy walking distance and the inn offers good public transport links. Sandwich Railway Station is less than 650 metres away. Free on-site parking is available for guests. All of the en suite rooms have TVs, telephones, tea/coffee making facilities and internet connection points for laptops. The warm and friendl bar offers a wide range of beers, wines and spirits and home-cooked food is available from 07:00 to 19:30. Sandwich is one of the Cinque Ports, a series of coastal towns by the English Channel, where the crossing to the continent is narrowest. A most comfortable hotel with a commanding position, overlooking Tunbridge Wells Common. The Royal Wells Hotel owes it's regal title to Queen Victoria, who made frequent visits as a young princess in the early nineteenth century. She later granted the use of her Coat of Arms, which are proudly displayed at the top of the building. Today the hotel still retains much of its Victorian elegance. 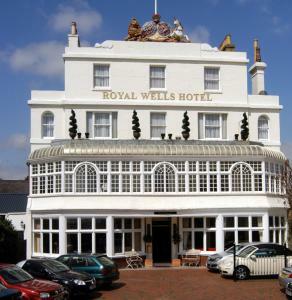 With a commanding position overlooking the Tunbridge Wells Common and within walking distance of the town centre, The Royal Wells Inn is a traditional, family-run hotel. Eating in the superb Conservatory Restaurant, with its intimate lounge bar, is sure to be one of the highlights of your stay here. Emphasis is on fresh produce, expertly prepared and served with friendly efficiency. An extensive wine cellar compliments the high standard of cuisine and this, together with the delightful surroundings, makes The Conservatory a popular eating place for guests and non-residents alike. Set in the idyllic Kent countryside, The Swingate Inn is a family-run hotel with AA 4-star status, conveniently located on the A258 and just 5 minutes from Dover ferry port. The Swingate Inn provides a perfect base to explore the surrounding area, with many beaches and golf courses nearby. There are also several National Trust and English Heritage houses and gardens in the area. The hotel is only 10 minutes from the Euro Tunnel Terminal. Guests have a range of dining and drinking options in the hotel, with a large beer garden on site, snug lounge, bar and relaxing restaurant. 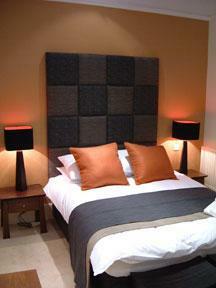 All of the comfortable rooms have en suite facilities and a TV. Free Wi-Fi internet access is available in the hotel. In a quiet, peaceful location, in an area of outstanding natural beauty, close to Leeds Castle, this rural pub and restaurant has 16 charming, individually designed en suite rooms. Each of the rooms has its own unique charm. All of the rooms are well equipped with all the modern comforts and facilities you need in a restful, relaxing base, whatever your reason for visiting the region, The Black Horse Inn offers a range of country wines, real ales and Biddenden ciders, as well as excellent food with an emphasis on local produce. 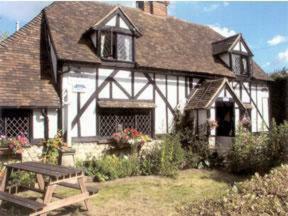 The restaurant is rich in traditional Kentish atmosphere with an open log fire and a wood-burning stove. Booking is strongly recommended for dinner, as the restaurant is extremely popular with locals, guests and visitors alike. Surrounded by stunning views, magnificent scenery and with great walks on its doorstep, the Black Horse Inn is a great base from which to explore the area's many attractions. 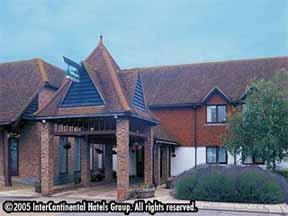 The Holiday Inn Ashford Central is ideally located to meet the needs of both the business and leisure traveller. All rooms are fully air conditioned with recently installed high speed internet access, as well as being en suite with amenities including satellite TV and mini bar. Whilst at the hotel, relax and enjoy a drink in the Bybrook Tavern before sampling one of the many innovative and imaginative dishes served in the Junction Restaurant. Both the restaurant and bar are situated in a 15th century barn, where the original wood beams add to the friendly and cosy atmosphere. We are conveniently located within an easy reach of the Eurostar terminal at Ashford International Station and the M20 motorway to the Channel Tunnel and London. 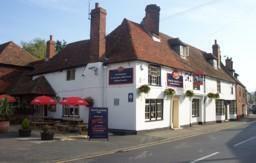 The Best Western Rose & Crown Hotel is an old English coaching Inn, set in the heart of Tonbridge. Set in the middle of Tonbridge High Street, opposite the Ancient Castle and Tonbridge Public School. The Rose and Crown is an impressive Tudor building, once a busy posting and coaching house. Many parts of the hotel still retain its original character with oak beams and Jacobean panelling. Easy access to the m25 Motorway, Gatwick Airport and the Channel Tunnel. Hever Castle, Chartwell, Churchill's home, and Penshurst Place are only a short drive away. 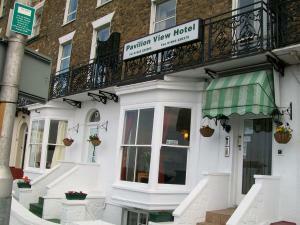 Superbly located by the seaside, this hotel overlooks Folkestone's picturesque harbour. Choose Grand Burstin Hotel for your gateway to the continent, with unparalleled evening entertainment, conference facilities and function rooms. The hotel is conveniently situated only a 10 minute walk from the main town and 3 minute's from the beach. Folkestone offers something for everyone, with shops, adventure play parks and places of interest. The hotel itself hosts fabulous entertainment every evening. During the day, we have a wide range of activities open to everyone from a fully equipped gym, 12 metre heated indoor swimming pool and new Harbour Lounge to sit and relax. With a massive screen TV in our main lounge, you will be sure not to miss your sports event. All this makes the Grand Burstin hotel the place where everyone gets the break they're looking for. Spindles health and leisure complex is now open after refurbishment, boasting new sports equipment, a new sauna and solarium. A nominal charge applies for facilities. This brand new hotel boasts 100 air conditioned en suite rooms in a superb location, just off junction 12 of the M20 and only a mile from Folkestone's Eurotunnel station. 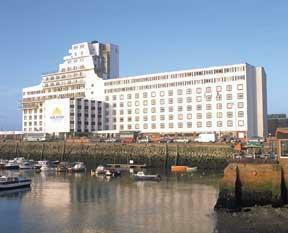 This is the closest hotel to Folkestone's Eurotunnel station, and Dover's ferry port is just a 10-minute drive away. The convenient location makes the hotel a great base for those visiting the continent, with great transport links and easy access to France by ferry or by train. The hotel offers comfortable modern accommodation and contemporary comforts and facilities, including high-speed wired internet access in all rooms and complimentary Wi-Fi wireless internet access in the hotel's lounge and bar area, and the Great Room. A continental breakfast is included in all of the quoted room rates and is available in the Great Room, which also offers informal evening dining. The hotel also has a fully licensed bar.